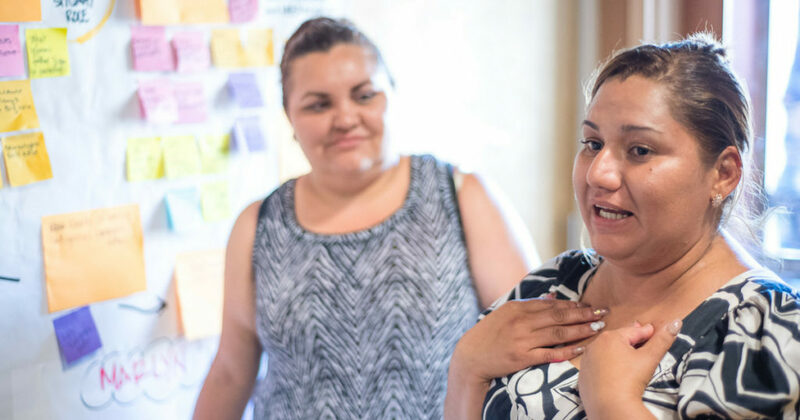 Knowing that solutions created with parents instead of for parents are much more likely to meet their needs, we launched the year-long Parent Innovation Institute in Oakland’s Fruitvale neighborhood in early 2017. Four community-based organizations – the César E. Chávez Branch of the Oakland Public Library, East Bay Agency For Children, La Clínica de La Raza, and the Unity Council – and the parents and caregivers they serve worked collaboratively through a five-step innovation cycle to explore how co-creation and rapid-cycle learning can improve outcomes for families and children. We hope the insights from our effort help others in the early childhood field successfully work with parents to address their children’s needs. To view insights and resources from the initiative, visit our interactive case study.